With a Preface by Kate Fowle, series editor, ICI’s Director-at-Large and Garage Museum of Contemporary Art’s Chief Curator. Savremena umetnost I savremenost: zbirka eseja [Contemporary Art and Contemporaneity: Collected Essays] (Orion Publishers: Belgrade, 2014), translated into Serbian by Andriji Filipovic. Contemporary Art: World Currents argues that, in recent decades, a worldwide shift from modern to contemporary art has occurred. Artists everywhere have embraced the contemporary world’s teeming multiplicity, its proliferating differences and its challenging complexities. This book shows how contemporary art achieved definitive force in the markets and museums of the major art centres during the 1980s. It then became a global phenomenon as artworlds everywhere began to connect more closely, to become contemporaneous with each other. New communicative technologies and expanding social media are now shaping the future of art. 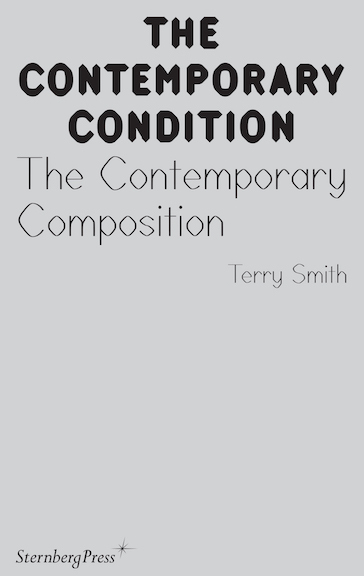 Terry Smith offers the first account of these changes, from their historical beginnings to the present day. This book breaks new ground in tracing how modern, traditional and indigenous art became contemporary in each of cultural region of the world. The author argues that it is diversity, or the contemporaneity of difference, not a convergence towards sameness, which makes today’s art contemporary. Who gets to say what counts as contemporary art? Artists, critics, curators, gallerists, auctioneers, collectors, or the public? Revealing how all of these groups have shaped today’s multifaceted definition, Terry Smith brilliantly shows that an historical approach offers the best answer to the question: What is Contemporary Art? Smith argues that the most recognizable kind is characterized by a return to mainstream modernism in the work of such artists as Richard Serra and Gerhard Richter, as well as the retro-sensationalism of figures like Damien Hirst and Takashi Murakami. At the same time, Smith reveals, postcolonial artists are engaged in a different kind of practice: one that builds on local concerns and tackles questions of identity, history, and globalization. A younger generation embodies yet a third approach to contemporaneity by investigating time, place, mediation, and ethics through small-scale, closely connective art making. Inviting readers into these diverse yet overlapping art worlds, Smith offers a behind-the-scenes introduction to the institutions, the personalities, the biennials, and of course the works that together are defining the contemporary. The resulting map of where art is now illuminates not only where it has been but also where it is going. 11. Taking Time . . .
13. 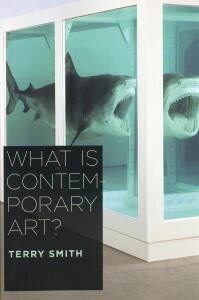 What Is Contemporary Art? Antinomies of Art and Culture: Modernity, Postmodernity, Contemporaneity. In this landmark collection, world-renowned theorists, artists, critics, and curators explore new ways of conceiving the present and understanding art and culture in relation to it. They revisit from fresh perspectives key issues regarding modernity and postmodernity, including the relationship between art and broader social and political currents, as well as important questions about temporality and change. They also reflect on whether or not broad categories and terms such as modernity, postmodernity, globalization, and decolonization are still relevant or useful. Including twenty essays and seventy-seven images, Antinomies of Art and Culture is a wide-ranging yet incisive inquiry into how to understand, describe, and represent what it is to live in the contemporary moment. In the volume’s introduction the theorist Terry Smith argues that predictions that postmodernity would emerge as a global successor to modernity have not materialized as anticipated. Smith suggests that the various situations of decolonized Africa, post-Soviet Europe, contemporary China, the conflicted Middle East, and an uncertain United States might be better characterized in terms of their “contemporaneity,” a concept which captures the frictions of the present while denying the inevitability of all currently competing universalisms. Essays range from Antonio Negri’s analysis of contemporaneity in light of the concept of multitude to Okwui Enwezor’s argument that the entire world is now in a postcolonial constellation, and from Rosalind Krauss’s defense of artistic modernism to Jonathan Hay’s characterization of contemporary developments in terms of doubled and even para-modernities. The volume’s centerpiece is a sequence of photographs from Zoe Leonard’s Analogue project. Depicting used clothing, both as it is bundled for shipment in Brooklyn and as it is displayed for sale on the streets of Uganda, the sequence is part of a striking visual record of new cultural forms and economies emerging as others are left behind. Edited by Terry Smith, 104 pages, 195 x 180 mm, hardback, clothbound, 2007. 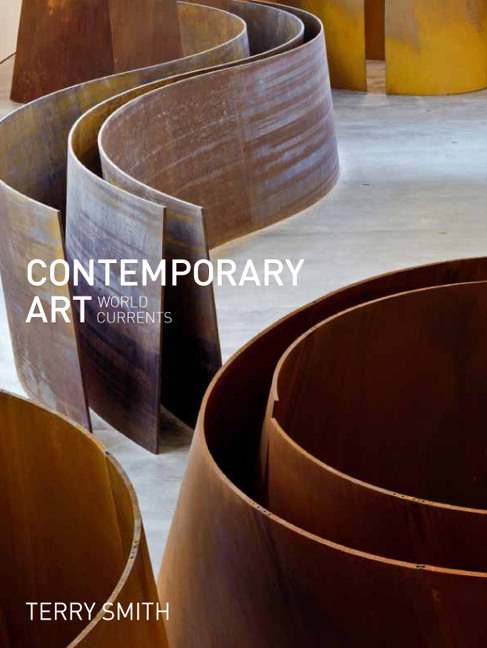 What are the major changes in world contemporary art? How might independent, non-commercial and openhearted private foundations take stock of these changes and make a distinctive contribution to sustaining valuable contemporary art and to increasing enlightened understanding of it? These questions were posed at a one-day forum held at Sherman Galleries, Sydney, on 10 August 2006, entitled “Public Spaces/Private Funding: Foundations for Contemporary Art”. 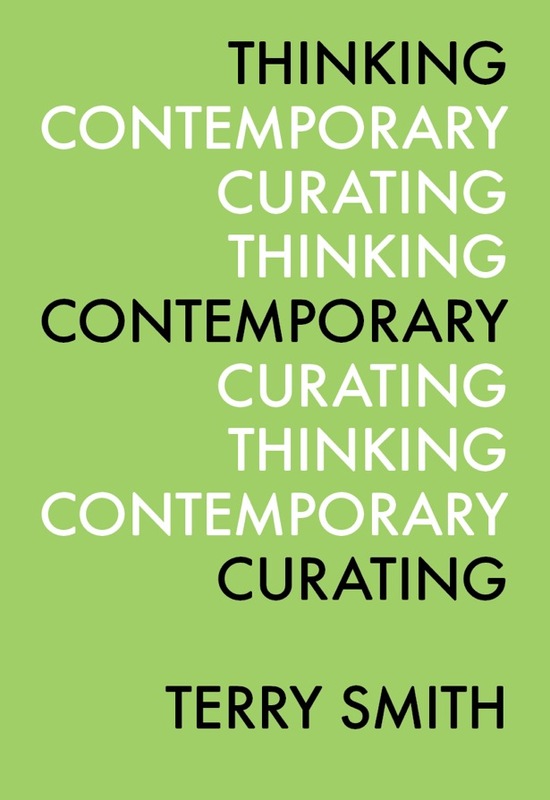 In this volume, Professor Terry Smith, David Elliott, Lynne Cooke, Rupert Myer AM and Dr Gene Sherman respond from scholarly, art critical, curatorial and philanthropic points of view. They assess the work of foundations in many parts of the world and outline the climate for philanthropy in Australia. Their main focus is the increasingly pertinent question: How might private initiatives most help contemporary art in Australia, now and in the foreseeable future, taking into account the regional and international contexts in which art is produced and circulates? 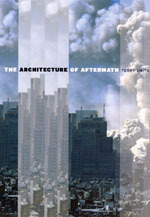 The September 11 terrorist attacks targeted, in Osama bin Laden’s words, “America’s icons of military and economic power.” In The Architecture of Aftermath, Terry Smith argues that it was no accident that these targets were buildings: architecture has long served as a symbol of proud, defiant power—and never more so than in the late twentieth century. But after September 11, Smith asserts, late modern architecture suddenly seemed an indulgence. With close readings of key buildings—including Jørn Utzon’s Sydney Opera House, Minoru Yamasaki’s World Trade Center, Frank Gehry’s Guggenheim Museum Bilbao, and Richard Meier’s Getty Center—Smith traces the growth of the spectacular architecture of modernity and then charts its aftermath in the conditions of contemporaneity. Indeed, Smith focuses on the very culture of aftermath itself, exploring how global politics, clashing cultures, and symbolic warfare have changed the way we experience destination architecture. Like other artists everywhere, architects are responding to the idea of aftermath by questioning the viability of their forms and the validity of their purposes. With his richly illustrated The Architecture of Aftermath, Smith has done so as well. 1. What was Australian Modernism? Impossible Presence brings together new work in film studies, critical theory, art history, and anthropology for a multifaceted exploration of the continuing proliferation of visual images in the modern era. It also asks what this proliferation–and the changing technologies that support it–mean for the ways in which images are read today and how they communicate with viewers and spectators. Framed by Terry Smith’s introduction, the essays focus on two kinds of strangeness involved in experiencing visual images in the modern era. The first, explored in the book’s first half, involves the appearance of oddities or phantasmagoria in early photographs and cinema. The second type of strangeness involves art from marginalized groups and indigenous peoples, and the communicative formations that result from the trafficking of images between people from vastly different cultures. 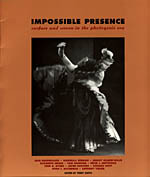 With a stellar list of contributors, Impossible Presence offers a wide-ranging look at the fate of the visual image in modernity, modern art, and popular culture. 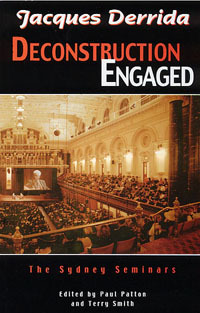 Jacques Derrida’s two Sydney seminars of August 1999 enabled him to present some of the principal themes of his work to non-specialist audiences. As might be expected of a Sydney setting, warmth of feeling and openness of spirit pervaded both occasions. Derrida’s willingness to engage with both interlocutors and audiences ensured an exciting demonstration of the subtlety and flexibility of deconstructive thinking in action. This book is reconstructed from the transcripts of those sessions. It provides a clear, systematic and highly accessible introduction to many of the central concerns of Derrida’s engagement with philosophy, visual art and politics. 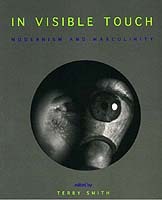 In Visible Touch: Modernism and Masculinity, Smith, Terry, editor. University of Chicago Press. Co-published with Power Publications, Sydney. In this collection, outstanding historians and theorists explore the representation of heterosexual masculinity embodied in modernist art. Examining such major European modernists as Cézanne, Caillebotte, Matisse, Wyndham Lewis, and Boccioni, these writings offer a history of how artists sought to shape their sexuality in their work. In turn, the essays also show how the artists were shaped by the historical shifts in the gender order and by the exchanges between sexualities occurring in their social worlds. For example, the piece on Wyndham Lewis shows how he subscribed to an exaggerated masculinism, while the essays on Boccioni and Matisse bring out the efforts by these men to understand feminine sexuality. In the theoretical essays, Bernard Smith questions modernism itself as a style category. And Richard Shiff and W.J.T. Mitchell trace the consequences for art theory of recognizing the physical presence of modernist artworks and the agency of imagery in our encounter with contemporary art. Does the university have a future? Has the modern university failed? Is it, as Bill Readings has claimed, in ruins? The authors in this volume remain positive about the potential of universities to create the conditions of their own reinvention, by renewing themselves from within and by working in concert with the communities around them. They pose sharply critical questions about how universities are being shaped by varying degrees of internal doubt, external antipathy yet increasing public need. Addressing topics ranging from the current political crisis around Australian universities to the persistence of medieval conceptions of knowledge, they ask: what forms will the university take in postmodernity? Samuel Weber explores the impact of globalisation and virtualisation on universities world-wide, and Gavin Brown poses the challenges for the University of Sydney. Diane Austin-Broos emphasises the importance of local knowledges, and Paul Patton the university as the site of a series of productive problems. Based on a Symposium held at the University of Sydney in 1996, and containing a record of the discussion following these talks, this volume is envisaged as the first in a series. 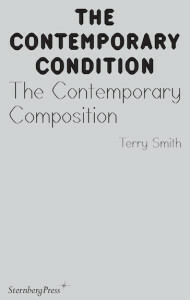 In this ambitious book, Terry Smith chronicles the modernist revolution in American art and design between the world wars–from its origins in the new industrial age of mass production, automation, and corporate culture to its powerful and transforming effects on the way Americans came to see themselves and their world. 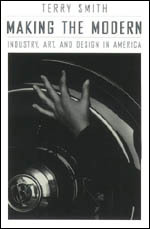 From Ford Motor’s first assembly line in 1913 to the New York World’s Fair of 1939, Smith traces the evolution of visual imagery in the first half of America’s century of progress. The Code of Practice for the Australian Visual Arts and Craft Sector (National Association of the Visual Arts: Sydney, 2001, general editor Caroline Jordan). Report of the Visual Arts Industry Guidelines Research Project, 1998-2001, of which I was joint Chief Investigator with Tamara Winikoff (2nd ed. 2004, general editor Penny Craswell).